Some people will do anything for love. 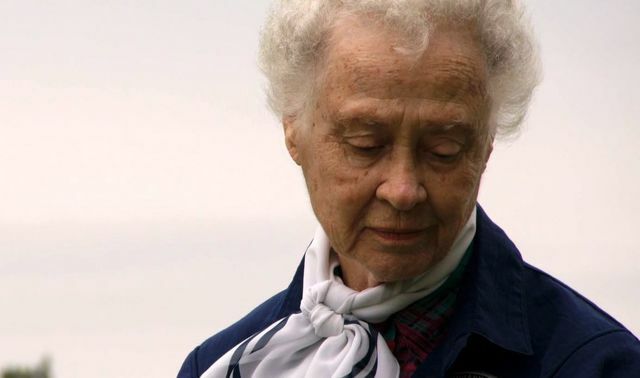 For a woman named Peggy, that meant finding the truth about her husband’s disappearance over the course of 70 years. She never gave up hope and knew that someday she would be reunited with the only man she ever loved. When Peggy Seale married the love of her life, she had no idea they would be together for such a short time. Not long into their marriage, he disappeared without a trace. 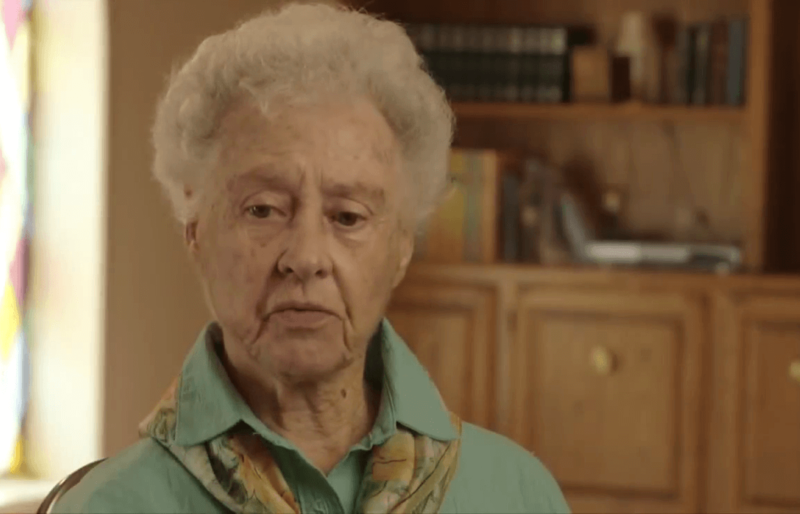 It took nearly seven decades before she learned the truth about Billie Harris. But Peggy had a deep love for her husband, and when he vanished, she never stopped looking for him. There was something about his disappearance that didn’t seem right. The couple had only been married for six weeks when he went missing. Most people would eventually give up, but Peggy knew something was wrong and wouldn’t stop looking for him until she found out what happened. Peggy was born in the 1920s in Vernon, Texas. At the age of 18, she got a job as an electrical instrument mechanic at the Altus Oklahoma Air Force Base. It wasn’t long before she met Billie Dowe Harris through a coworker. 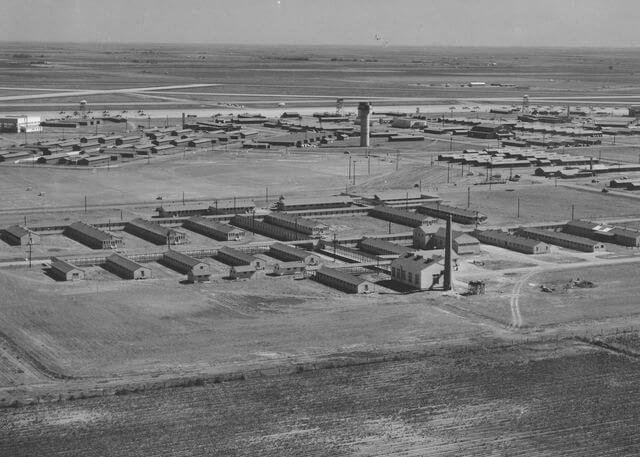 Billie’s father was an assistant supervisor at the Air Force base. He had a feeling that Peggy and his son would make a good couple, so he arranged for them to meet. As he expected, the pair had an instant attraction to one another. Peggy was attractive, intelligent and kind. But there was also something very special about the young woman. At the time, Peggy performed a job that was dominated by men. 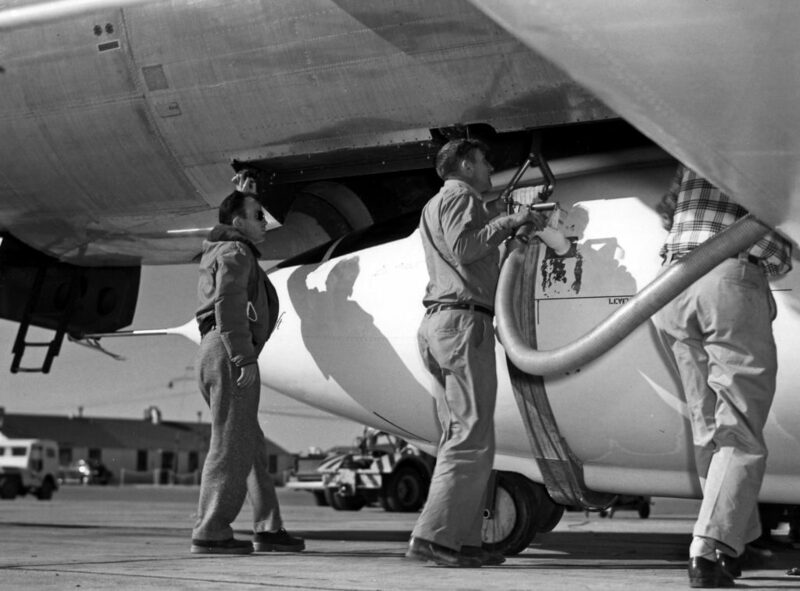 In fact, she was the sole female mechanic at the Air Force base. This was highly unusual since women didn’t usually join the military, and when they did they were unlikely to choose a technical position. But Peggy had an aptitude for that sort of thing, so it made sense that she would choose a job that suited her skills. She decided early on not to make compromises when it came to her life. Even though her chosen profession was geared towards men, she went ahead and followed her dreams. 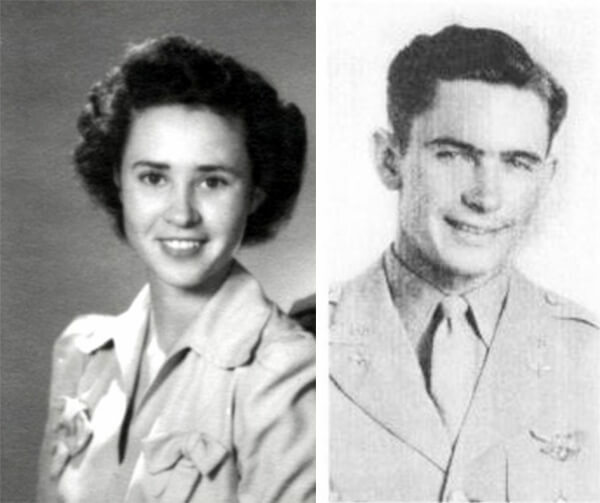 Peggy became acquainted with Billie’s father while they worked together in the propeller department. Sometimes a father’s intuition kicks in, and he knew that Peggy would get along really well with his son. Before long, the two were introduced to one another, and they quickly hit it off. Billie loved Peggy’s personality and how driven she was. He liked the way she focused less on superficial things such as fashion and instead concentrated on her job at the Air Force base. 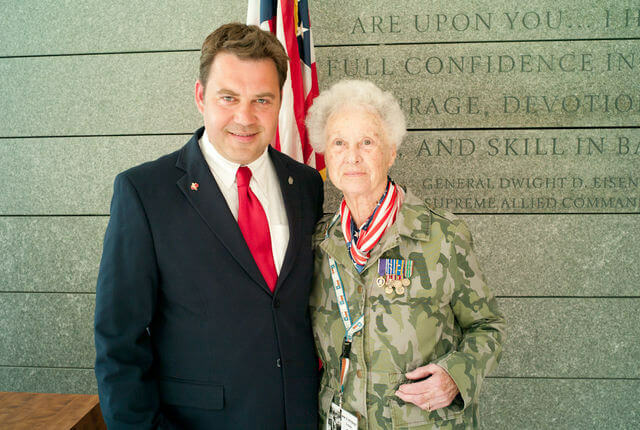 She was dedicated to serving her country and paying her dues in the military. The pair immediately had a connection. While Billie’s father knew his son had to meet his clever coworker, the pair courted in an old-fashioned way. Instead of meeting face to face, the two exchanged letters. Back in those days there was no social media. People couldn’t look at each other’s pictures on Facebook or Instagram. There were no cell phones, so they didn’t send each other text messages to get to know someone. In the 1940s, people often communicated by sending letters, particularly if their friends or family lived far away. So, that’s how Peggy and Billie started off their relationship. And it was the perfect way to learn about each other. However, Peggy wasn’t exactly interested in writing to Billie—at first. She recalled talking to Billie’s father about his son: “There was an opening in the production control office so I took that job. Billie’s father was the assistant manager in the propeller department there. 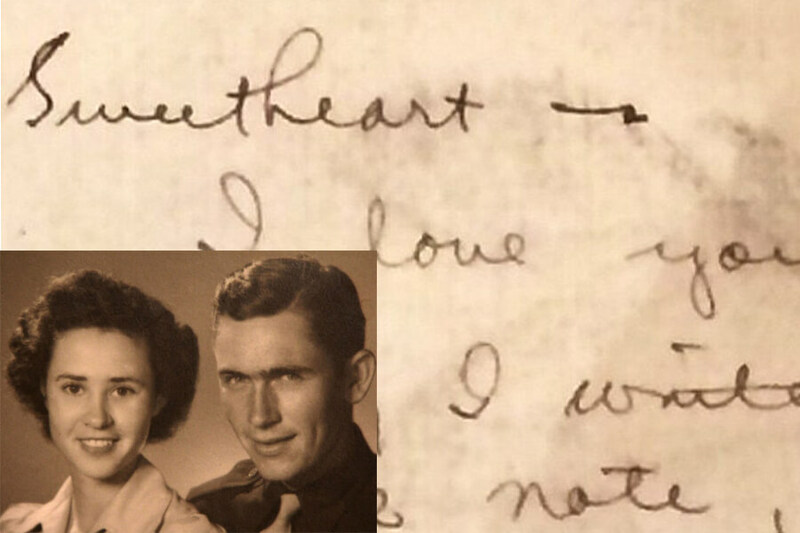 Soon after I came there he wanted me to write to his son who was a student pilot and I let him know that I did not write to men I did not know— particularly service men.” Peggy didn’t want to be too forward and send any mixed signals to a man she had never met. While Peggy was based out of Oklahoma, Billie lived in San Antonio, Texas. The best way for them to learn about each other was through the written word. They had their first meeting on paper, and it didn’t take long for them to eagerly anticipate every letter they received in the mail. They started out as friends, and with each correspondence, they got closer and closer. Before long, their friendship started to evolve, and the tone of their letters changed and became a bit flirtatious. For two people who didn’t meet face to face, it was incredible that they were able to forge such a strong connection. One of the best things about writing letters is you can express yourself in a way that is sometimes difficult to do in person. And while Peggy and Billie loved reading each other’s correspondence, there came a time when it wasn’t enough. After Billie and Peggy met in person they knew they were in love. And it didn’t take long before Billie decided they needed to make a permanent commitment to one another. 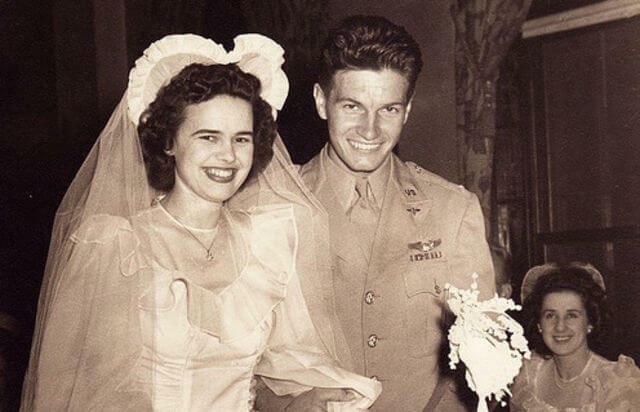 He proposed, and she said, “Yes.” On Sept. 22, 1943, the couple wed in Florida. But they had no idea that soon their lives would change forever. 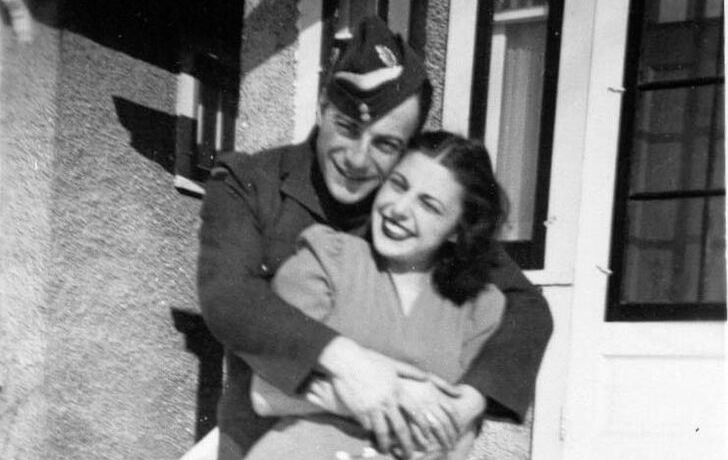 On the day in 1943, when the young couple said “I do”, they had no idea how short their time together would be. Within two years, she would never hear from him again. 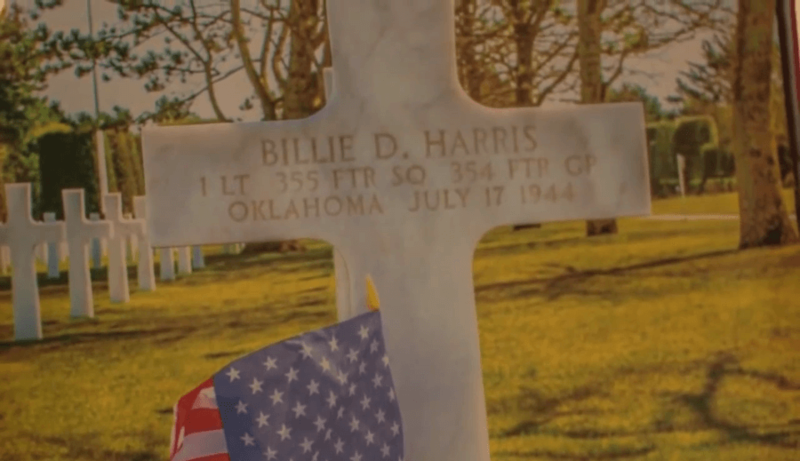 After deploying across the world to the United Kingdom, Billie completed 100 successful missions as a pilot serving in the U.S. Army. He was even supposed to come home at one point, but his departure from Europe was delayed. Peggy heard he should be coming home, but he never did. The last known location of her husband was when Billie was flying a plane over Les Ventes in Northern France. But Peggy wouldn’t learn the hard truth until 70 years later in 2012. She recalls the short time they had together in loving memory. Like many newlyweds, Billie and Peggy had some struggles. Their biggest hurdle was financial: they had no money. Even though they were both working, they had a difficult time coming up with cash to pay for their wedding rings. Peggy couldn’t afford a wedding band for her husband, so instead, she gave him her Vernon High School ring at their nuptials. However, love conquers all. And even though they had trouble paying for things, they were deeply in love. They cared more about each other than they did about material things. Becoming husband and wife was more important than anything else. When a couple gets married, they have many things to consider when planning for the future. In addition to a financial plan, they have to decide if they will raise a family. Peggy and Billie both knew that they wanted children, but they agreed that at that point in their lives they were unable to afford it. They decided to wait until they were more stable before they brought a new life into the world. And since it was the ’40s, Peggy opted to quit her job while Billie would be the breadwinner. Then they received some difficult news. Even though the couple had some hurdles ahead, they were very happy together. Billie was thrilled to have finally married the love of his life, and Peggy felt the same way. They both looked forward to their future together. 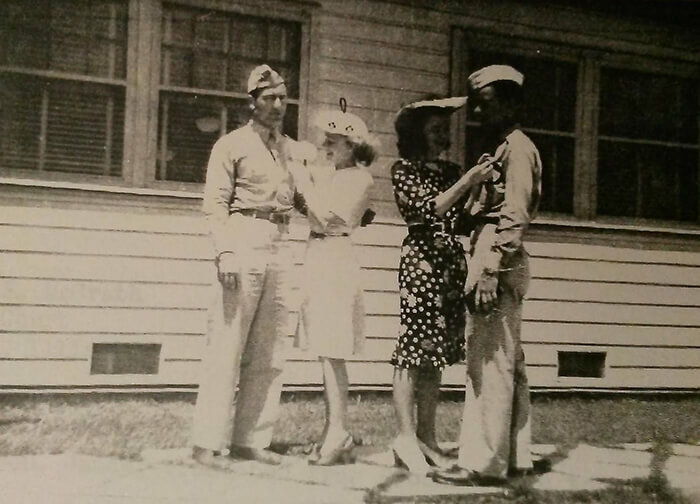 Billie was also very excited because he graduated from his U.S. Army Air Corps pilot training at Brooks Field in San Antonio and was awarded the rank of second lieutenant. 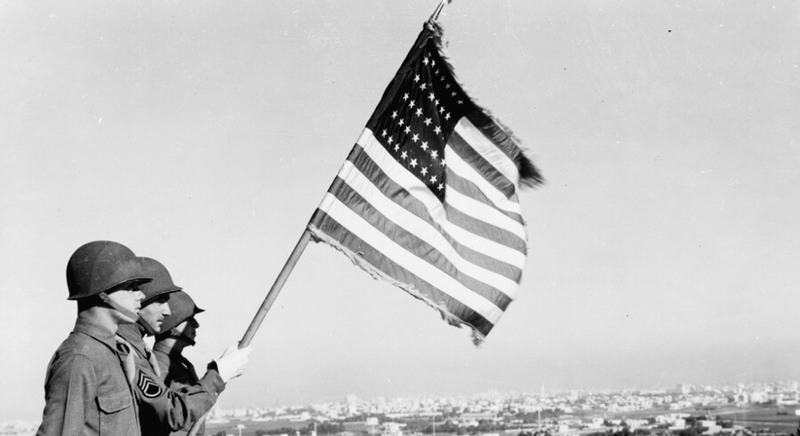 However, with this rank came a huge responsibility—he received a letter with orders to serve in World War II. Obviously, the couple knew this was a possibility since they both worked in the military. 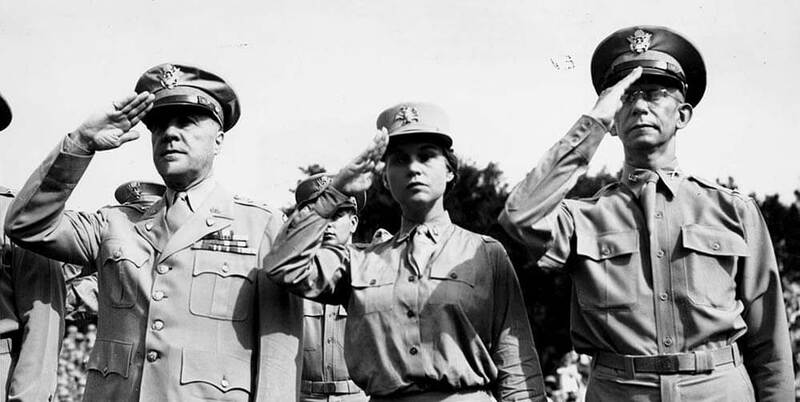 While the couple may have expected that Billie would be sent to war, it was still difficult for them to accept the news. They were newlyweds and had been husband and wife for less than two months. 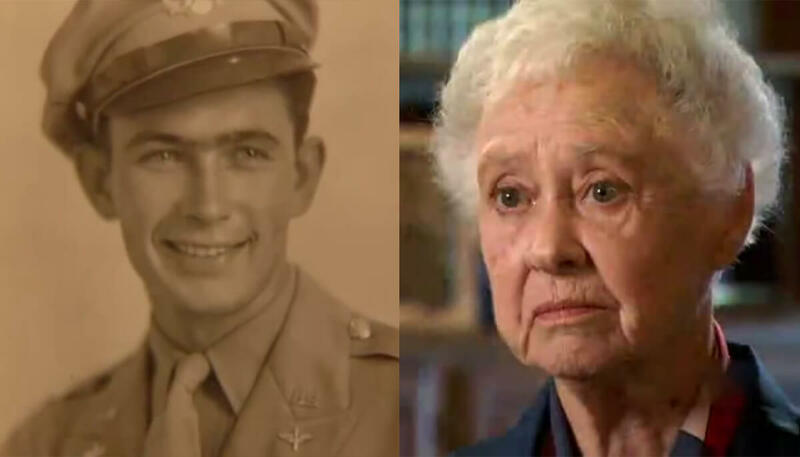 And even though they were sad by the letter, they both served in the military and had made a commitment to protect their country, even if it put their lives in danger. So, while their love for each other was unbreakable, Billie had to leave. But they vowed to stay together forever. Even though they only had a short time as husband and wife, they knew they were making the right decision. When Billie prepared to go to war, Peggy watched quietly as her husband packed his bags and put together everything he needed to go overseas. It was very difficult for the young bride. The couple had just started their lives together and were being ripped apart. 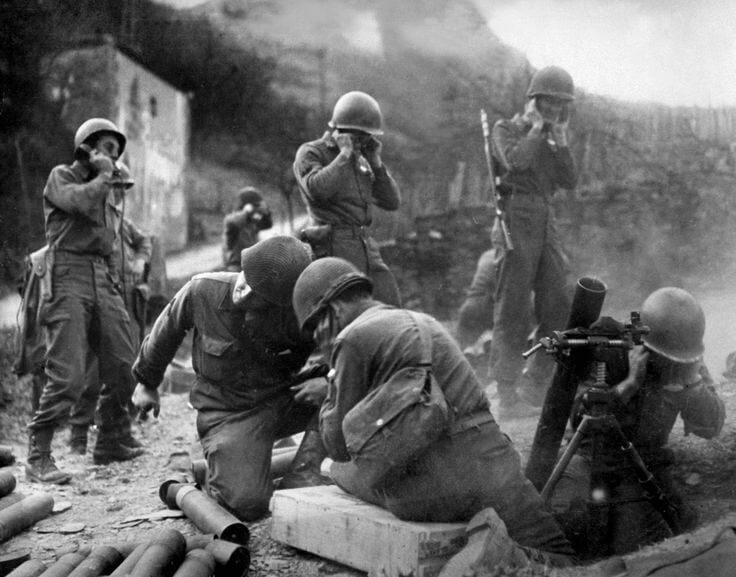 Even though they knew it was Billie’s duty to serve the United States, and he was proud to do so, they still struggled with their emotions. They would have to wait to start a family, and they also realized there was a possibility that dream may never even happen at all. 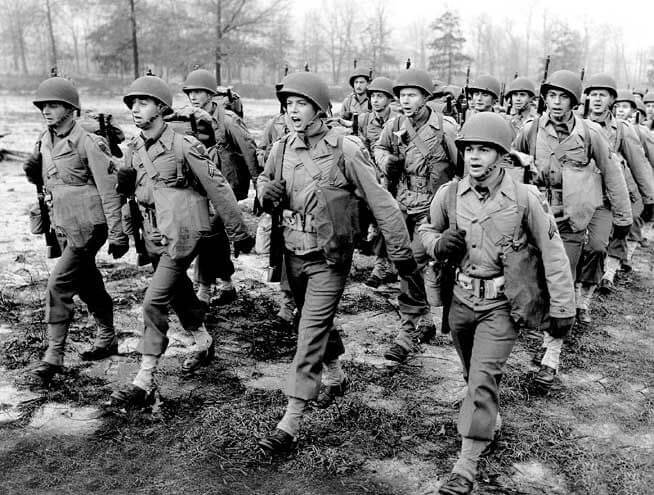 The United States was thrust into the middle of the action during the war in 1943. People who possessed certain skills were in high demand. Billie was a pilot with a lot of potential, so he was highly sought by those who required his skills. When the letter arrived, neither Billie nor Peggy were surprised. He was told to travel to Tallahassee, Fla., after saying goodbye to his family and friends. 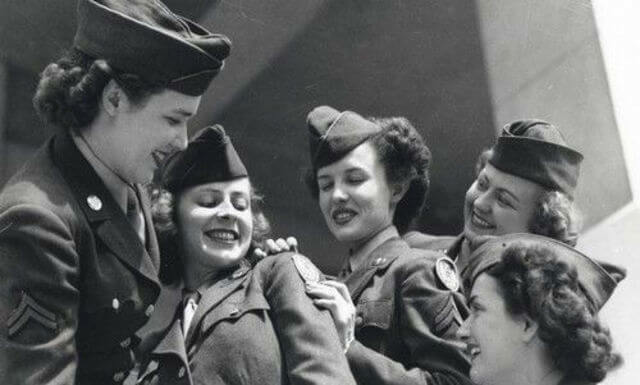 Peggy explained in an interview for a website commemorating the 354th Fighter Group: “When the men were called up, the wives were told to go home and not tell anyone that their husbands had been sent overseas until they had arrived there safely. Peggy and Billie’s parents did the best they could to locate the young man. By 1945, Peggy realized that she probably would never see her husband again. But she still did not give up hope and contacted the International Red Cross. Miraculously, they had a little bit of information that would help in her search. Unfortunately, their information was also rendered useless. One report claimed Billie was missing in action, while another claimed he was dead. By the mid-2000s, Peggy was still yearning for the truth. And unexpectedly, Billie’s cousin, Alton Harvey, helped out by looking through some of the Department of the Army’s files. Unfortunately, people disappear all the time. Sometimes the family finds them, and sometimes they never discover what happened. Many people eventually stop looking for their loved ones. Time passes, and they move on with their lives. But Peggy had so much love for Billie that she refused to give up. Peggy had many things happen during her life, but no matter what she was steadfast in her love for her husband. She and Billie had the ultimate love story. Even though she didn’t know where he was, she still loved him and had faith that one day they would be reunited. Peggy was determined to find out what happened to Billie, so she did everything in her power to discover the truth. She knew that it would be difficult. Over the years, Peggy reached out to numerous people to see if they had any information about her husband. She encountered a lot of dead ends. No matter what she did, she struggled to piece together the puzzle and nobody she spoke with seemed to have the answers. Billie disappeared, and she didn’t know why. He was gone, and so was any evidence of his whereabouts. But he was always on Peggy’s mind. Interestingly, while Alton was searching for information about his cousin, he learned a French woman was also searching for him. Alton discovered Billie was stationed in the United Kingdom and flew an allied bomber across the English Channel each day. He earned several medals for his valor. 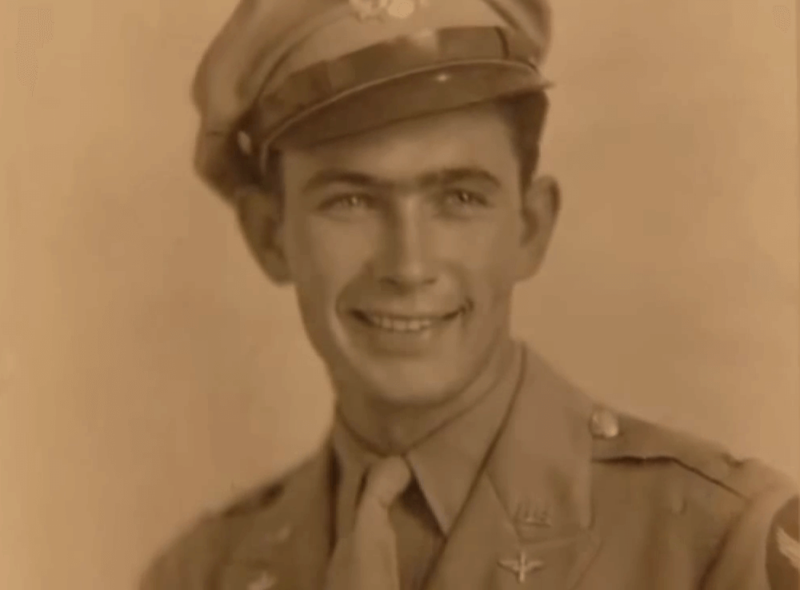 After completing 100 missions, he was told he was going home in July 1944. But as Billie was preparing to leave, he learned the ship didn’t have room for him. He was forced to wait weeks for another ship. In the meantime, he decided to continue working for the Army until he could go home. 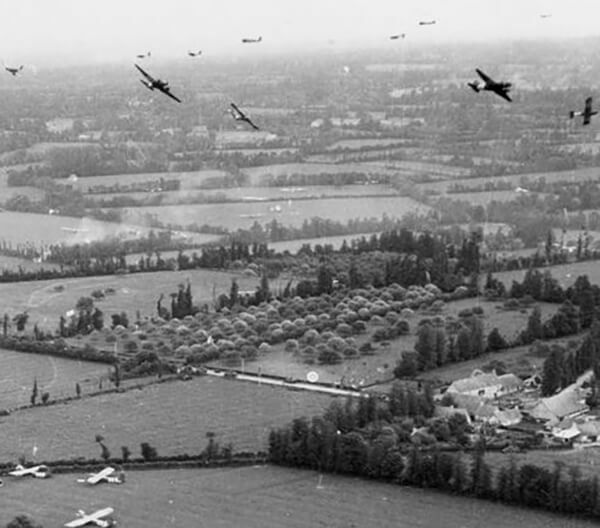 While flying a plane over Les Ventes in northern France, Billie’s plane was shot down. While he could have ejected himself from the plane and likely saved his life, he decided not to do that. He opted to stay on the plane and diverted it towards a nearby forest, saving the villagers below from a fiery crash. 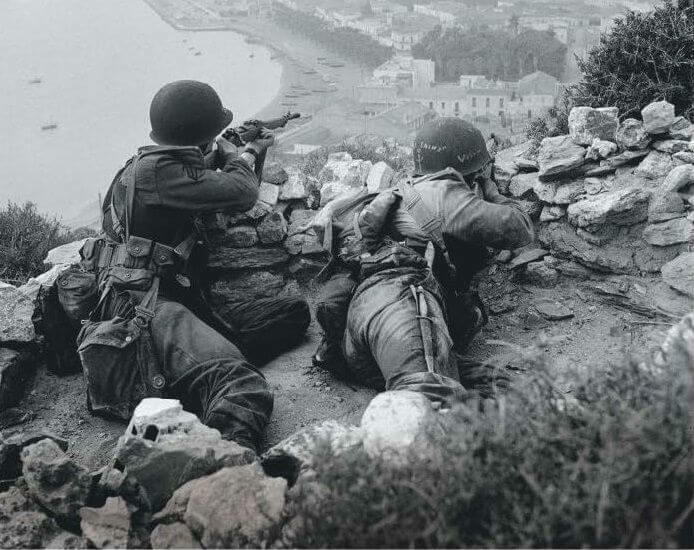 A French woman named Valerie Quesnel from Les Ventes decided to search for the unnamed pilot to celebrate the 60th anniversary of the liberation of Les Ventes. The town had buried the unknown soldier in their cemetery. Valerie started the search to identify the man who saved his life to protect their town. 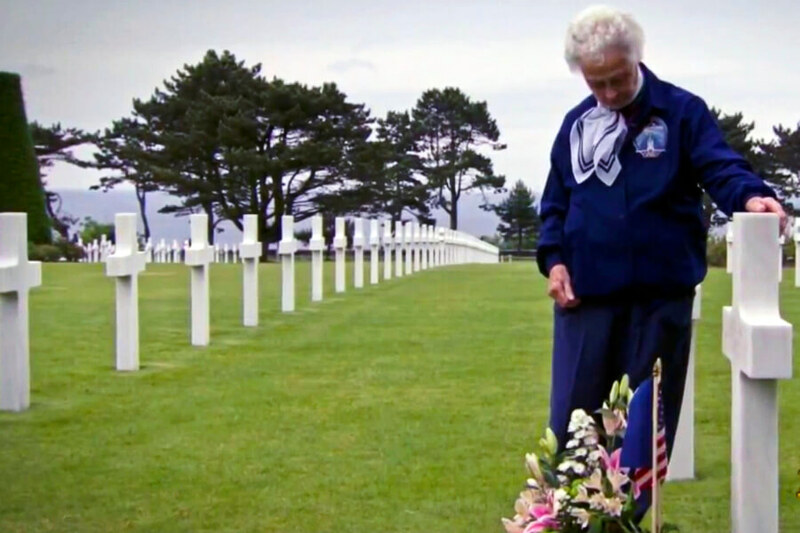 When Peggy finally found out the truth about her husband’s disappearance, she transported his remains to a grave in the Normandy American Cemetery and Memorial. And although it wasn’t the reconciliation she was hoping for, she finally learned the truth and got closure. 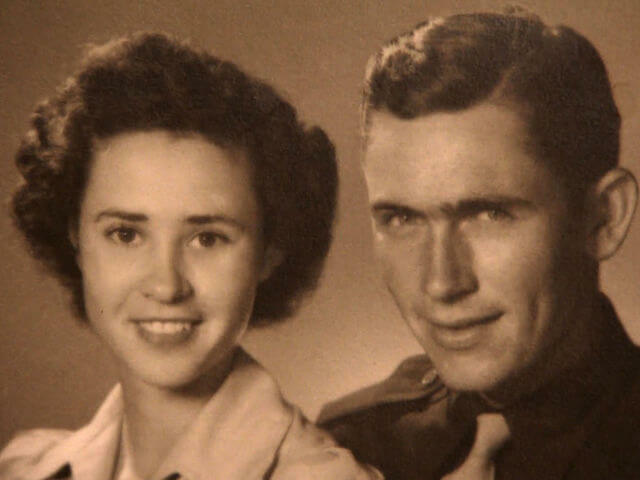 Peggy had spent nearly seven decades looking for her husband. It must have been heartbreaking to discover that he almost returned home in 1944. However, to know that he sacrificed his life for others must have made her very proud. His selfless action likely saved many lives that day, and he cemented himself as one of America’s heroes.